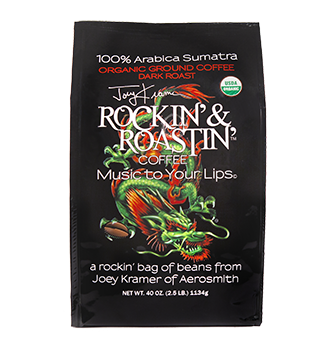 View cart “Sumatra Ground (Subscription)” has been added to your cart. This is a special espresso dark roast personally selected by Joey Kramer to bring a great organic espresso roast to all of his coffee loving friends. 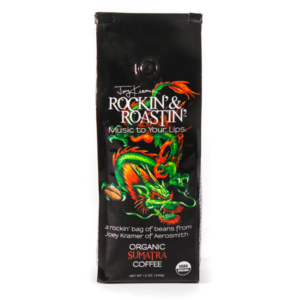 Purchase 4 bags or more and qualify for Free Shipping. 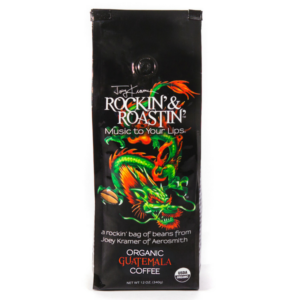 Four bags a month is enough for a coffee loving pair to each enjoy about (2) 12 oz cups of coffee a day over the course of a month. 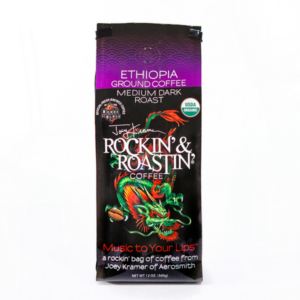 Rockin’ & Roastin’s organic artisanal roasts are of the highest quality Arabica coffee beans cultivated using organic, environmentally sustainable methods. 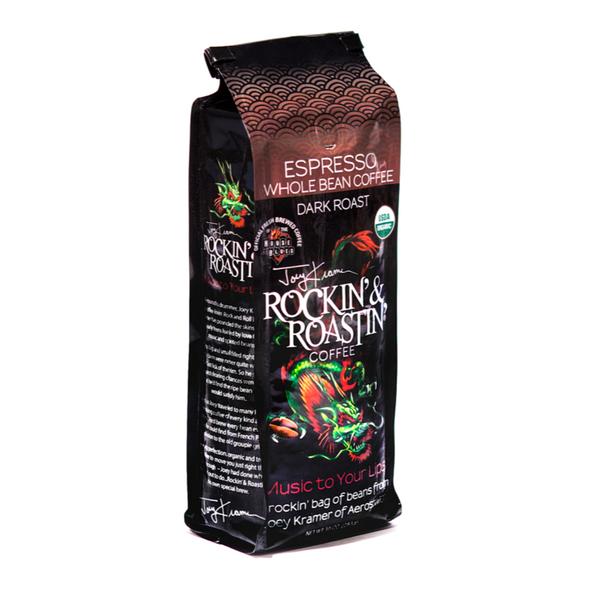 Rockin’ & Roastin’s organic artisanal roasts are of the highest quality Arabica coffee beans cultivated using organic, environmentally sustainable methods. 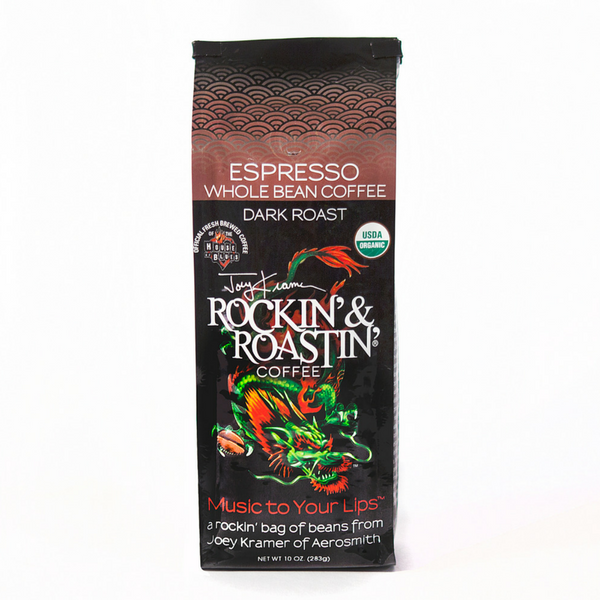 This is a special espresso dark roast personally selected by Joey Kramer to bring a great organic espresso roast to all of his coffee loving friends.